A genus of thirty or more species belonging to the Hyacinthaceae Family they are native to the Mediterranean region and Western Asia. 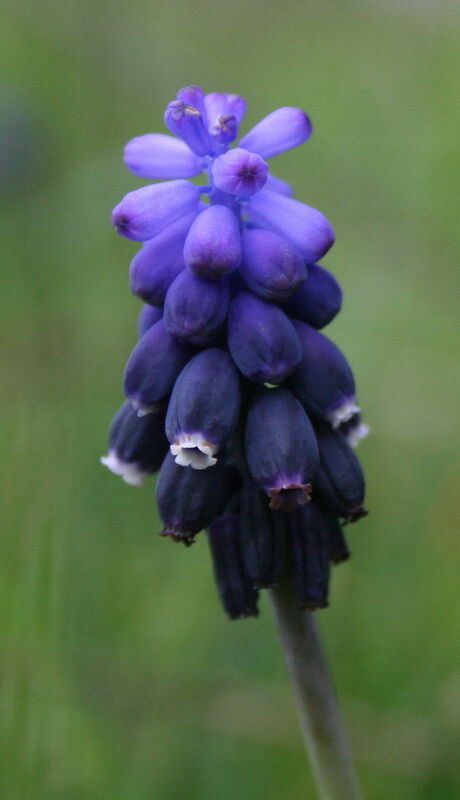 Commonly called “Grape Hyacinths”, the strap-like foliage appears soon after autumn planting followed in early Spring by flower spikes bearing ‘grape-like’ clusters of heavenly scented bells in colours of blue through to white. Plant bulbs in a very drained loamy soil enriched with a complete fertiliser or blood and bone. Normal Spring rains should be adequate, can be left undisturbed for several years, just top-dress with a complete fertiliser each Autumn. Ideal for a sunny border or a pocket in a rockery. They are also happy in a pot.